This site provides a wealth of materials for teachers & children to develop an increased knowledge of our environment. These resources are intended to increase environmental awareness and inspire participation in environmental activities. Students of all ages will find fun activities and project ideas to learn more about waste reduction, reuse, and recycling. 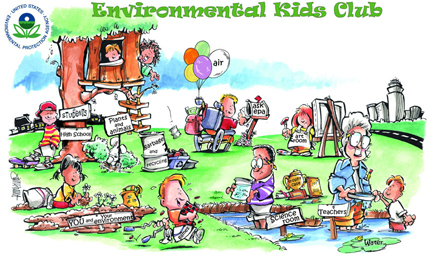 This site also provides a wealth of interactive and informational website links to allow children to collect environmental information for use in projects and reports.